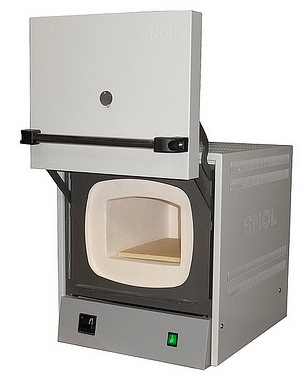 The SNOL 3/1100 LHM01 is an 1100°C precision laboratory electric muffle furnace with a counter balanced lift-up door. It is designed for materials testing, heat treatment, ceramic and stoneware samples firing. These furnaces are used in laboratories, educational institutions, and ceramic studios. It has a Omron E5CC digital PID temperature controller and a lift-up door mechanism. Additional options, including chimney, over-temperature, multi-segment timed programs and calibration, are also available when ordering offline, see the datasheet for further information and contact us for a quote with lead time. 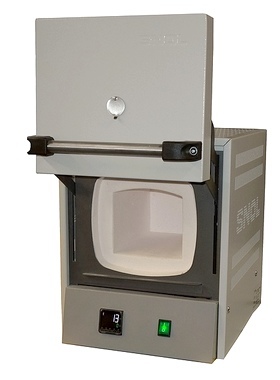 The SNOL 8.2/1100 LHM01 is an 1100°C precision laboratory electric muffle furnace with a counter balanced lift-up door. It is designed for materials testing, heat treatment, ceramic and stoneware samples firing. These furnaces are used in laboratories, educational institutions, ceramic studios and in industry for thermal processing. It has a Omron E5CC digital PID temperature controller and a lift-up door mechanism. 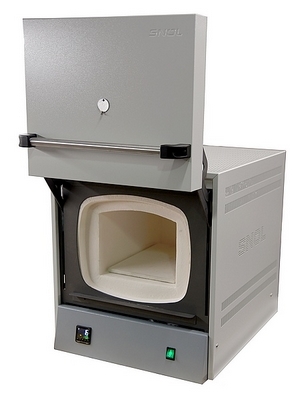 The SNOL 13/1100 LHM01 is an 1100°C precision laboratory electric muffle furnace with a counter balanced lift-up door. It is designed for materials testing, heat treatment, ceramic and stoneware samples firing. These furnaces are used in laboratories, educational institutions, ceramic studios and in industry for thermal processing. It has a Omron E5CC digital PID temperature controller and a lift-up door mechanism. This model is not available for ordering online, due to the unpredictable cost of shipping to certain areas because of its large size and weight. Please contact us for more details. 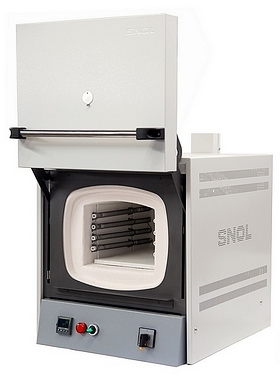 The SNOL 22/1100 is an 1100°C laboratory muffle furnace, with a chamber capacity of 22 litres. It has a Omron E5CC digital PID temperature controller and a lift-up door mechanism. 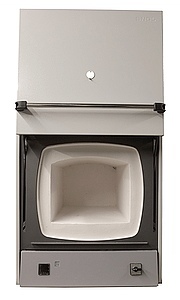 The SNOL 39/1100 is an 1100°C laboratory muffle furnace, with a chamber capacity of 39 litres. It has a Omron E5CC digital PID temperature controller and a lift-up door mechanism. 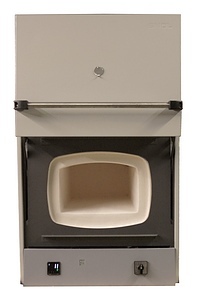 The SNOL 10/1300 LHM11 is a 1300°C precision laboratory electric muffle furnace with a counter balanced lift-up door. It is designed for materials testing, heat treatment, ceramic and stoneware samples firing. These furnaces are used in laboratories, educational institutions, ceramic studios and in industry for thermal processing. It has a Eurotherm 3216 digital PID temperature controller and a lift-up door mechanism. It includes over-temperature protection and fan assisted chimney as standard. Additional options, adjustable over-temperature, multi-segment timed programs and calibration, are also available when ordering offline, see the datasheet for further information and contact us for a quote with lead time.